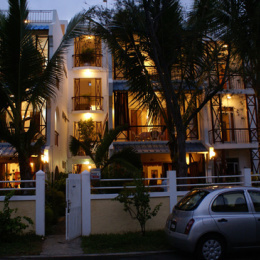 A serviced apartments near Blue Bay beach, Mauritius. 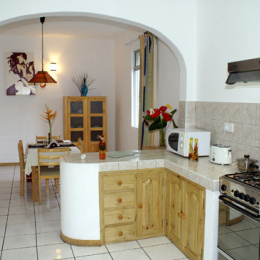 Pingouinvillas provide value for money serviced apartments fully equipped, functional and spacious. Your senses will be uplifted by the chirping of the birds, the landscape and the serenity. You will be pampered with warm personalized service and our passionate staffs will go the extra miles to satisfy you. Blue Bay beach is only a short walk away from Pingouinvillas. The main attraction is 'Blue Bay Marine Park' where you can explore the rich diversity of colorful marine life. Popular recreational activities include swimming and snorkeling in the clear crystal water whilst its white fine sandy beach is for those who prefer sunbathing. This is the right place whereby you will definitely taste the authentic Mauritian hospitality during your holiday. We are convinced that you will leave us with a smile and with memorable experience.